2 Fat Nerds - Send Out The Bat Signal: Keeping Weight Off Is Hard. Send Out The Bat Signal: Keeping Weight Off Is Hard. 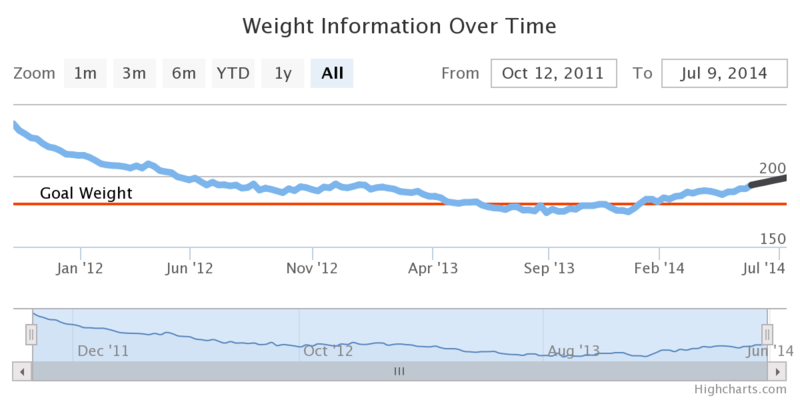 Home/Food, Health/Send Out The Bat Signal: Keeping Weight Off Is Hard. In 2007 I successfully lost 40-50 pounds.I was in great shape, happy and was satisfied with where I was at in my life. Over the course of falling in love with my wife, graduating college, getting married, and falling into a sedentary desk job, I gained it all back and then some. I’ve been largely successful for the better part of two years, nearly three. I lost the weight, and hit all the goals I set. I’ve completed some half-marathon races, and a 15k which stomped me into a heat-induced rolling blackout, which I promptly declared a rematch on. The stark reality though is my body will always pack on the pounds the second I become satisfied and relaxed with what I choose to eat. The 2014 trend is unacceptable. Following the Old Forge Triathlon I think most of us were pretty burnt out from training 6 days a week. We all needed to take a break and rest up. The problem is that I have never really gotten back into full-blown training mode. Add back in my overwhelming desire to consume as many calories as I was when I was biking, swimming, and running back to back 6 days a week, I’ve quickly packed on the pounds. Since September, I’m easily up about 20 pounds. Gaining weight is ridiculously easy. Every pound lost is fought over tooth and nail, while three pound gains is what I call a delicious platter of fried-wontons and shrimp fried rice. This blog is all about accountability at its core. It makes me more aware of what I weigh. I’ve discontinued posting my own weekly weight-graph in favor of showing Adrienne’s, who is now going through the process. I think in a way I’ve been hiding behind the percentage chart, because it doesn’t mean as much as display my actual weight. I think i’ll have to change that. And I suppose . . . no more #BingeWednesdays.